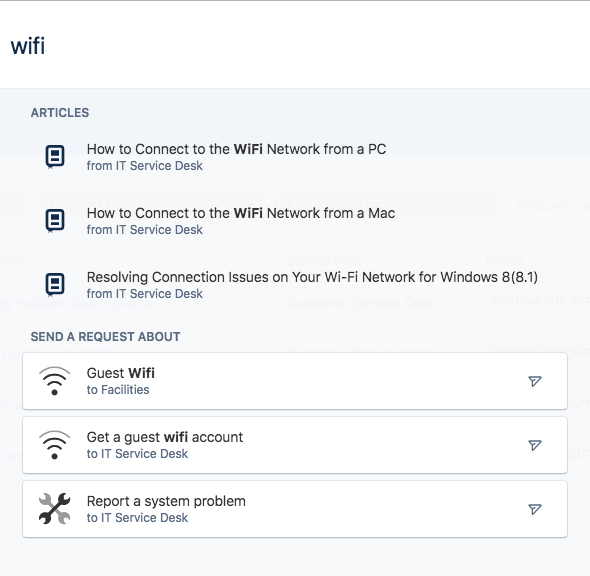 Every Jira Service Desk project comes with an online portal that your customers use to interact with your service team. Here are some best practices on how to design an easy-to-use customer portal that will help both your team and your customers work more efficiently. Uploading your company logo to automatically generate a matching theme for your customer portals and help center header. Naming your customer portals and help center so customers can easily find your team's service desk. Name request types in a language that is familiar to your customers, and use keywords they will recognize. For example, name a request Access to a system instead of VPN access. Use examples in your request type descriptions (e.g. If you need a software license such as Microsoft Office, raise a request here). Link to other information that might be helpful for customers in the request type description. For example, if you have already have a list of available Microsoft Office license numbers on your Intranet, add a link to the page in the request type description and instruct customers to claim a license from that page without needing to open a request. 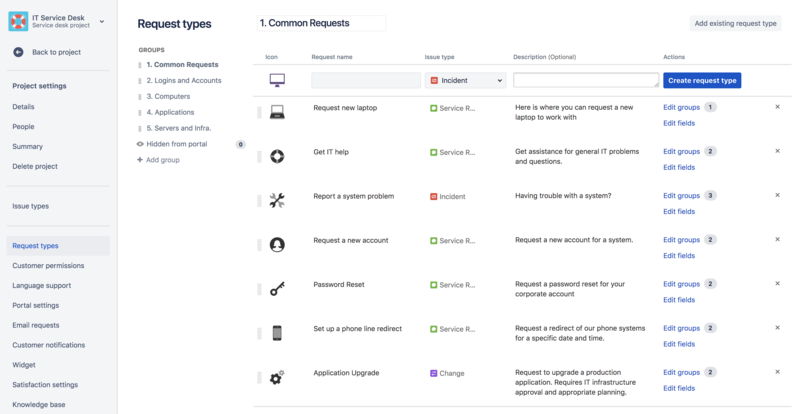 If you have a large number of request types, say more than 7, we recommend grouping them to help customers find what they need. Groups display in a dropdown on the customer portal. Customers choose a group to view based on the request types it contains. Alternatively, while viewing a group, select Add existing request type to add your request types to it. As you use your Jira Service Desk, your team will learn about common customer problems and ways to solve them. 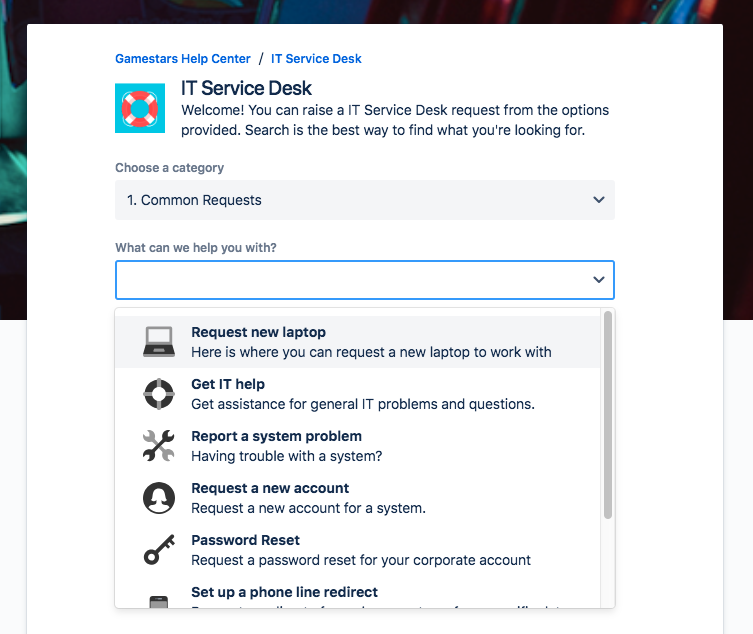 If you add a knowledge base to your service desk, customers can search for and solve their problems without sending you requests. To add a knowledge base, link a Confluence space to Jira Service Desk. To learn how,see Serving customers with a knowledge base.